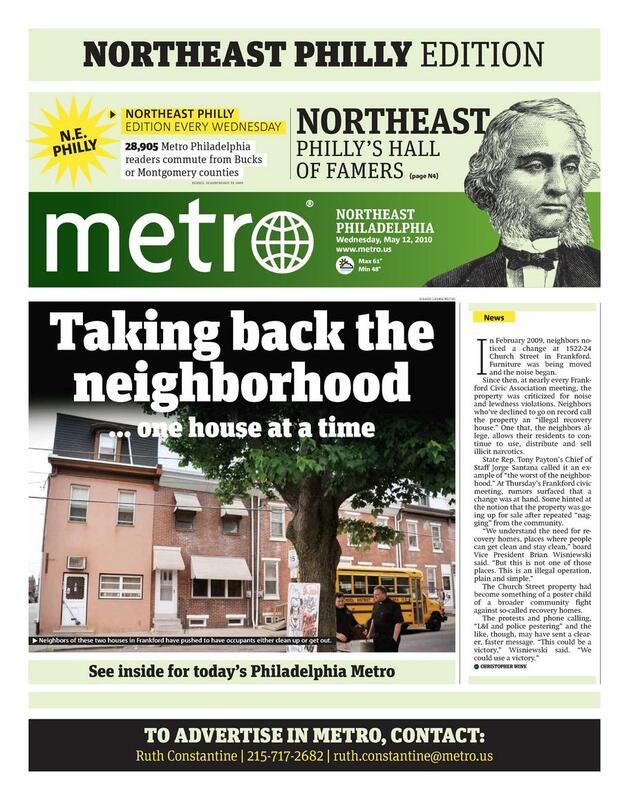 Metro (June 2009 to present): I regularly contribute news stories and short features to the Philadelphia edition of the international newspaper. I also occasionally fill-in for staff reporters. See examples of some of my larger stories here. The remains of the second largest snow storm in recorded Philadelphia history on the 600-block of Gaul Street in the Fishtown neighborhood on Sunday, Dec. Nothing newspapers love more than a big storm. I jumped into the fray with a few items for Metro on the second largest snowfall in recorded Philadelphia history in today’s paper. The second worst snowstorm in Philadelphia’s recorded history welcomed John Hutchison to Fishtown over the weekend. With intrepid photographer Rikard Larma, I trekked through the snowy streets of riverward neighborhood Fishtown and then up to some big box stores in Port Richmond. Some castmember of the reality show "Parking Wars." 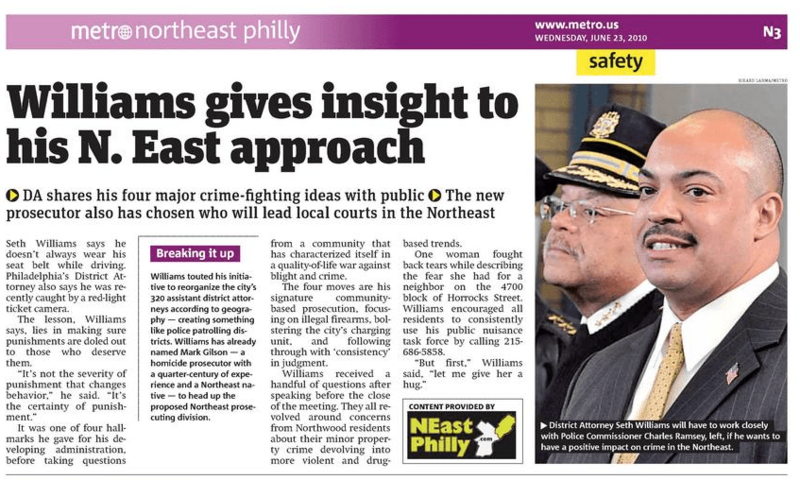 I spoke to series producer Andrew Dunn and executive producer Dan Flaherty of A&E’s popular reality show “Parking Wars” for last Tuesday’s issue of Metro-Philadelphia. The show, which has followed staff of the Philadelphia Parking Authority for two seasons, is back for a third, which will also include scenes from Detroit’s parking enforcement agency. Unfortunately, that piece only ran in print, not online, although the week before I had another story on the PPA that was put on the newspaper’s Web site. Because of space limitations, my Q&A with those two producers was additionally slashed, leaving just a few questions with Dunn. Below, I share what Flaherty, the show’s co-executive producer, had to say.